You have all kinds of reason to call a plumber…Arnold & Sons being just one of your choice. And yet the vast majority of our calls are about something gone wrong. Something that needs to be fixed, and the sooner the better! You know what we do to help minimize the number of times you need to make that same call? 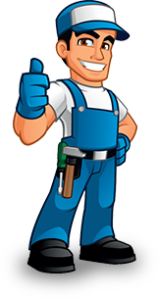 When we come out to your house to solve a repair problem, we first inspect all your plumbing. That way, we can see if there’s anything else that needs tending to. The inspection doesn’t cost you a penny. More than that, it can help save you a lot of money. Because if there is another problem or two in the making, chances are it will cost much less to fix it now before it gets any worse. Plus, by taking care of it now, you’ll have one less reason to call us later, thus avoiding a ton of aggravation. Free plumbing inspections with every service call…just one of many reasons to put your trust in Arnold & Sons.